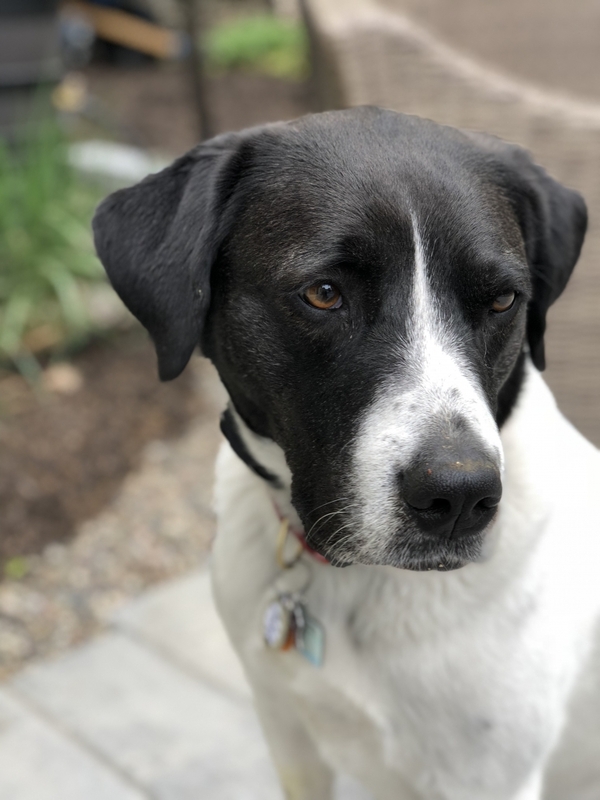 Last week I was talking to a friend and I mentioned how great my dog Tuukka is – and that she’s not like any other dog I’ve ever had in my life because she never gets into any trouble. The next day, I was chatting with my dog trainer, I mentioned the same thing. And Saturday morning, when Kevin and I were lounging around the backyard, we had the same conversation about how cool it was not to have to protect all food on counters or put shoes away or not sit on the floor and eat because Tuukka is SO good and never goes after any of those things. My son, Cole, has a whole bunch of friends over in the backyard that night. They ate pizza and other junk food – including pork ribs. The deal we have as a family is that if he’s going to have friends over, he has to clean the backyard THAT night (not the next day or the day after that…). Ack! 17 year olds! Anyway, he beautifully fulfilled his part of the deal but left the trash in the kitchen open. As I was trying to fall asleep at midnight that night (for some crazy reason I was awake at that hour) I suddenly had the urge to go check on Tuukka. And there she was in the middle of the kitchen, surrounded by ripped up trash. Turns out, she’d eaten mashed potato, pork ribs, pizza, corn on the cob… I couldn’t even get mad as we’d never taught her to stay out of the trash since it had never been an issue before. We spend the night mostly awake helping her vomit up everything she could. She was definitely happy with us and now, a few days later, she’s been cleared of the potential complications (trying to pass a bone through her intestines or pancreatitis or other such problems) however, she’s just not feeling well. It’s super interesting that all it took was me talking about Tuukka never getting into the trash to direct the energy toward it – which is how we ended up in this situation. It really shows what powerful creators we are, doesn’t it? I wasn’t “trying” to bring energy to the trash, but by chatting about it (even in a positive way), energy was brought to Tuukka and the trash. Is there something you may be bringing energy to as well? Do you want the energy going there? Look closely because, like me, you may not realize you’re doing it! And here’s my ask: would you be open to sending love to Tuukka to help her heal? PS: Jump in to the Open Your Psychic Senses series now (we’re just starting)! Learn more here. 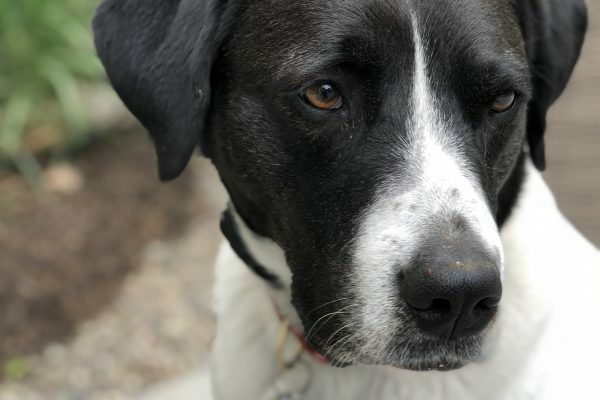 PPS: Time is running out – Spend the weekend with me immersed in animal communication for beginners: It’s a month away and it’s waiting for you! Learn what I’m talking about here! Danielle,,, I have asked Archangel Raphael to please heal your dog…he is a powerful healer of both humans and pets ( as you probably already know). Love and best wishes to you and Tuukkle. LOL We totally do call her Tuukkie 🙂 And thank you! Of course. Much healing energy to Tuukka. We lost our boy more than a year ago for other reasons, but the worry is the same. Tuukka is beautiful. I will send energy to help heal his gut. All my love to Tuukka! Sending Tuuka love and healing. Poor pup. Yep….. I always tell my husband to be careful when doing that exact thing. No ones perfect…. thankfully things are better but prayers are being sent!!! Sending Gumbo-love Tuukka’s way. From my experience that is “pure energy” from the source! Yes of course lots of love and hugs and healing coming tukka’s way. Get well soon baby. My new puppy Rama and i are sending lots of healing love. I will chant some healing Rama mantras for Tuukkas healing and her family. Sending much love <3 and healing to Tuukka! May she purge the people food from her system and move into health and wellness. May her mother connect in with the truism that bragging about our fur children automatically leads to them acting out. 😉 Much love to you as well, Danielle. Hi Danielle! Will send Reiki and love Tuukka’s way today. Hope she feels better soon. omen’s best friend to be put in jeopardy or harm.) Is there a thought pattern at the collective level that is coming up to be healed? Will have to let this process a little and do some clearing on it. Blessings to Tuukka, You and Your Family. Goodness knows she had a good time then but not so much now. Sending healing energy to you both and a little bit of a “ut oh think twice for next time” message to her if that is alright with you. What a fabulous lil girl you have. Sending loving energy to Tuukka! Beautiful girl. This is a perfect example of where I have some confusion about intuition and co-creation. You say you co-created the situation because you were talking about it. Like a self-fulfilling prophecy? But, were you picking up on something that could potentially happen? Something you intuited or sensed? So that you didn’t really co-create it? You were sensing it was about to happen. It seems like you are explaining that just because you spoke about it you created it, but is that what really happened? Do you see my confusion? Doesn’t seem clear cut to me. So much energy, so many influences. Any thoughts to help clarify for me? Thanks. I asked Jesus and archangel Raphael to heal Tuks. I told her I wanted to rub her face and ears. Oh my. Sigh. Bless little Tukkie…can’t really blame her for the pig out *)* Yes, definitely sending love and healing energies to all of you. And thank you for the reminder about the power of our words! Oh sweet Tuukka, may you feel better soon . Sending love and light from Flagstaff, AZ. Prayers for healing to Tuuka. Love and healing to everyone. Tuukka is absolutely being surrounded by love and “get well” thoughts. Such a great lesson for us all! Sending Tuukka healing energy and love. Shamballa On for Tuukka……Did you forgive her for getting into the trash? Offering love and healing energy to Tuukka and all of you. Am sending her, and all involved and concerned, lots of love! Lots of good thoughts, love, and prayers for Tuukka, you and your son, and your family. Poor Tuukka found the all you can eat buffet and thought she had found a little bit of heaven (I can relate to both the temptation and pitfalls of over enjoying there). Maybe she is a bit confused by all that happened that night? Hello! Channeled reiki love and light to lovely love and light Tukka. Strong sense that she’s A okay now! Wonderful feeling! Thank you for you messsge, Danielle! Sending love and good health to Tukka. In November I lost my beautiful golden, Sam, to lung cancer. I was devastated and understood down to my soul the meaning of broken hearted. The same day somebody brought in to my vet a 9 month old puppy named Hope to be rehomed. Needless to say I opened my heart to this new little life. She is constantly getting into things and keeps me on my toes. She has eaten bits of blankets, towels, paper, etc. She is so sassy and sweet! She has been my message from God that even in my times of great sadness, when life feels like it is falling apart and the world is dark, there is always HOPE just waiting to be discovered. Karma is truly real, isn’t it?? When we put out negative thoughts they seem to happen. I’ve learned to try hard to keep only positive thoughts but am human and mess up😄. Thanks for all you do!! !